I used to always cut fruits and veggies in the wrong directions. I finally overcame this problem by turning them in the opposite direction to the way I initially wanted to cut them. Similarly, many investors and investment managers are making investment decisions the wrong way and need to reverse how they are going about it. This problem began with the random walk hypothesis (RWH). That idea, popular in the 1950s and 1960s, said that stocks fluctuate randomly (in statistical terms, are independent and identically distributed). RWH evolved into the efficient market hypothesis (EMH). As such, it eliminated serious interest in tactical asset allocation, trend following, and momentum investing among academics and most institutional investors. Some practitioners, however, were creating a substantial body of anecdotal evidence that stock fluctuations were not random, but instead showed mean reversion and serial correlation. Stock exchange specialists and brokerage firm trading desks made large profits going against short-term customer order flow, which gave them short-term mean reversion profits. 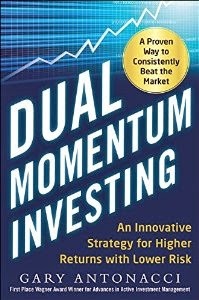 The success of momentum traders like Jack Dreyfus and Richard Driehaus showed that stocks could also exhibit price continuation (momentum). Successful long-term value investors, buying depressed stocks that would eventually recover and outperform the market, indicated that one might also earn long-term mean reversion profits from stocks. In the mid to late 1980, academics began to catch up with practitioners in discovering the flaws of RWH. Ironically, Fama and French (1988), two of the pioneers of efficient market theory, were among the first to show that stocks mean revert based on a 3 to 5-year time horizon. Around the same time, Lo and MacKinlay (1988) and Poterba and Summers (1987) came up with compelling evidence to reject RWH. In the early 1990s. Jegadeesh and Titman (1993) in their seminal papers demonstrated convincingly that price continuation through momentum exists on a 3 to 12-month basis. 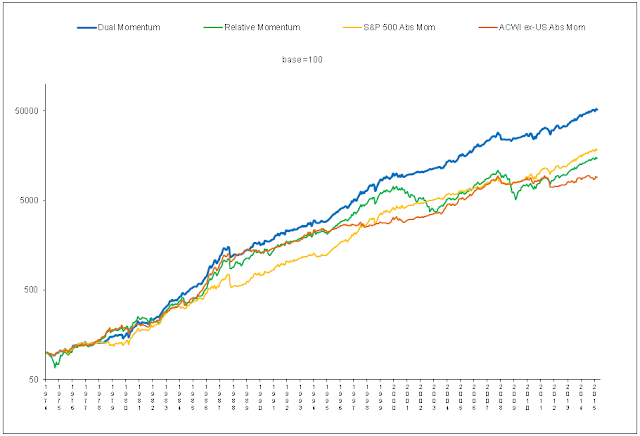 Showing just how far academics have come in accepting 12-month momentum (indicating positive serial correlation) , one-month mean reversion, and 3 to 5-year mean reversion, all three of these factors are now in the online Ken French data library for researchers to use in their studies. So how does this relate to the way investors and investment managers are making poor investment decisions? First, there is still a cultural affinity to RWH and EMH despite all the contrary evidence. This can lead investors to ignore the profit opportunities inherent in momentum investing. Next, investors and investment professionals often focus on the wrong time frame in judging investments. Goyal and Wahal (2008) report that plan sponsors and institutional asset managers choose investment managers based on performance over the past 3 years. Yet we know now that 3-year performance is mean reverting. Strong performance over that time frame is not indicative of strong future results. As another example, the Morningstar rating methodology weights 3-year performance more heavily than 5 or 10-year performance. If longer term performance is unavailable, ratings are based entirely on 3 year performance. The Vanguard Research report "Mutual Fund Ratings and Future Performance" (2010) found that from February 1992 through August 2009, there was no systematic outperformance by funds rated 4 or 5 stars by Morningstar or underperformance by funds rated 1 or 2 stars. The median 5-star fund's excess return was not consistently higher than the median 1-star fund's excess return. Vanguard also reported that investment committees typically use a 3-year window to evaluate the performance of their portfolio managers. Yet we know that investors and asset managers should focus more on performance outside the 3 to 5-year performance window due to mean reversion during that time frame. Investment committees, institutional asset managers, Morningstar, and others emphasize 3-year past performance as an indicator of future success, when the just opposite is likely to be true. Adding to this confusion, individual investors and others chase after strong 1-month performance by buying short-term rallies when they would be better off buying dips. Investors and investment managers take heed. Do the right thing. Read the literature. And, if you need to, don’t forget to turn your fruits and veggies in the right direction. One of the advantages of using a trend following filter like absolute momentum (which is half of dual momentum) to identify regime change is that can also reduce the influence of loss aversion, ambiguity aversion, and the flight-to-safety heuristic. It may therefore give investors more confidence to stay with the trend and overcome the negative influences of fear and greed.